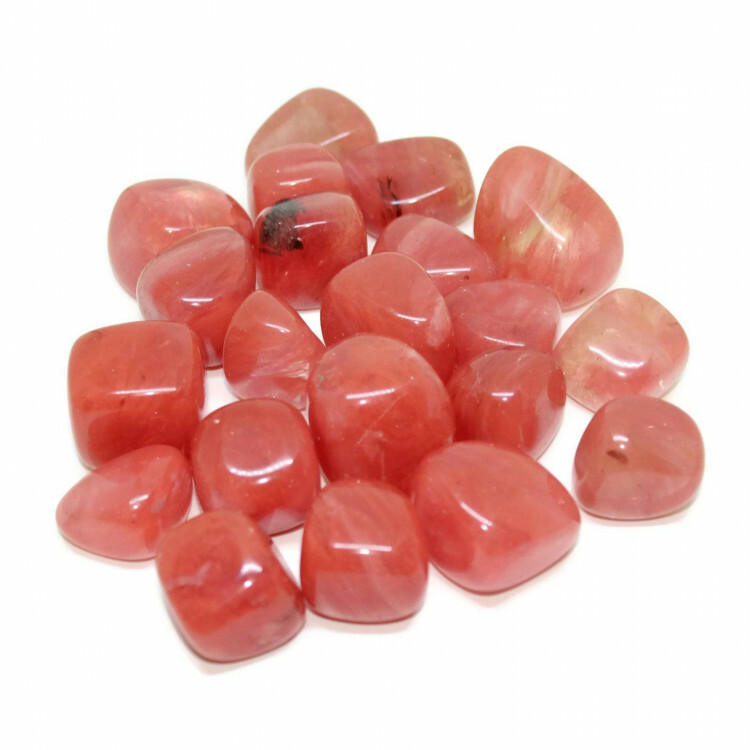 Tumbled Cherry Quartz pieces, around 20-30MM approximately. 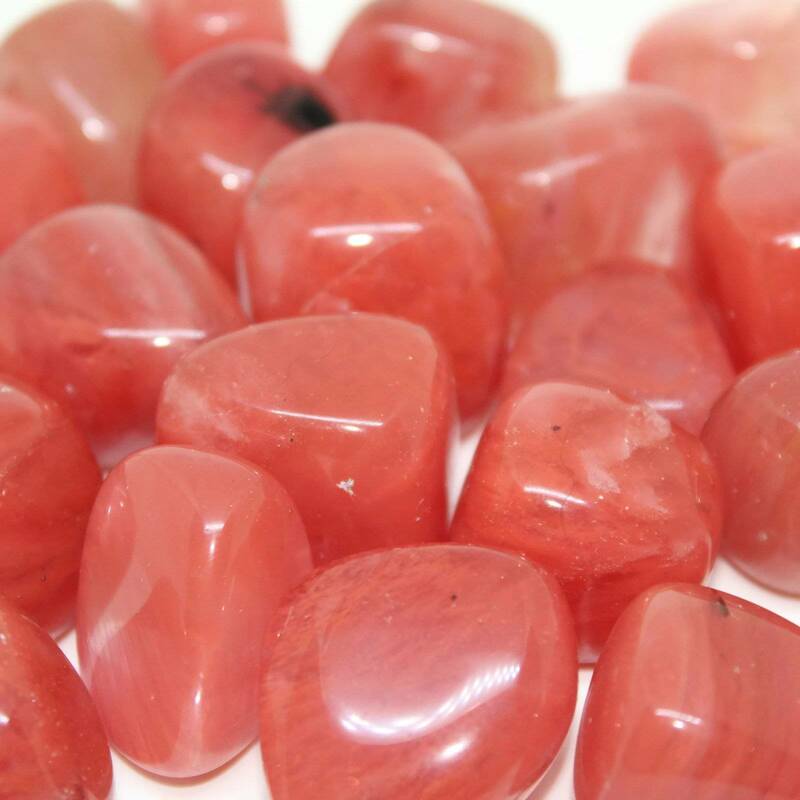 Cherry Quartz tumblestones, sold in a single size – around 20-30MM approximately. We offer a range of packet sizes, from a single stone to a packet of ten stones. As a gorgeous pinky red glass, they contrast well with clear and white tumblestones. Because of their nature, they are perfectly suited to display in a vase, bowl, or even as fishtank or aquarium gravel. 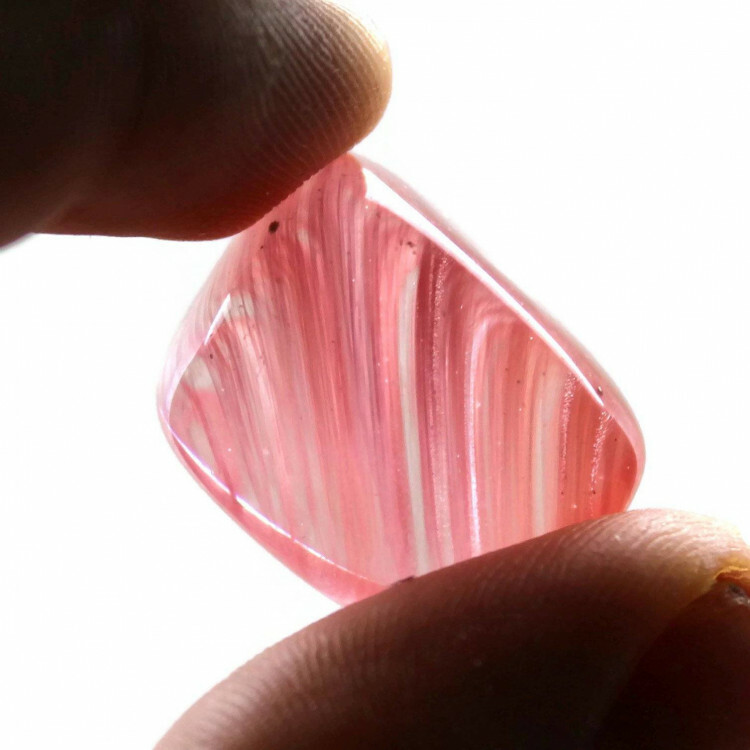 Cherry Quartz is an artificial type of glass – it is NOT a true Quartz, and is man made. For more information about Cherry Quartz, and a full list of our related products, check out our ‘Cherry Quartz’ page.